Newspower stores are independently owned and operated. 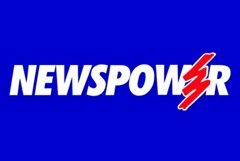 With the support of the Newspower group Newspower stores are dedicated to meeting the needs of their customers carrying extensive ranges of greeting cards, magazines, stationery, gifts, confectionery, books toys and many more products that suit their local communities. Newspower Newsagents are an integral part of the local community and are a destination for information, education, entertainment and much more.